Light Grey Granite kiln dried sand. 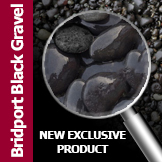 Designed by and exclusive to Specialist Aggregates - use for jointing with grey granite and black driveway paving products as well as loose lay for product merchandising and set design. When you have paid a small fortune for top quality granite paving why accept it being finished off with yellow or orange jointing sand? 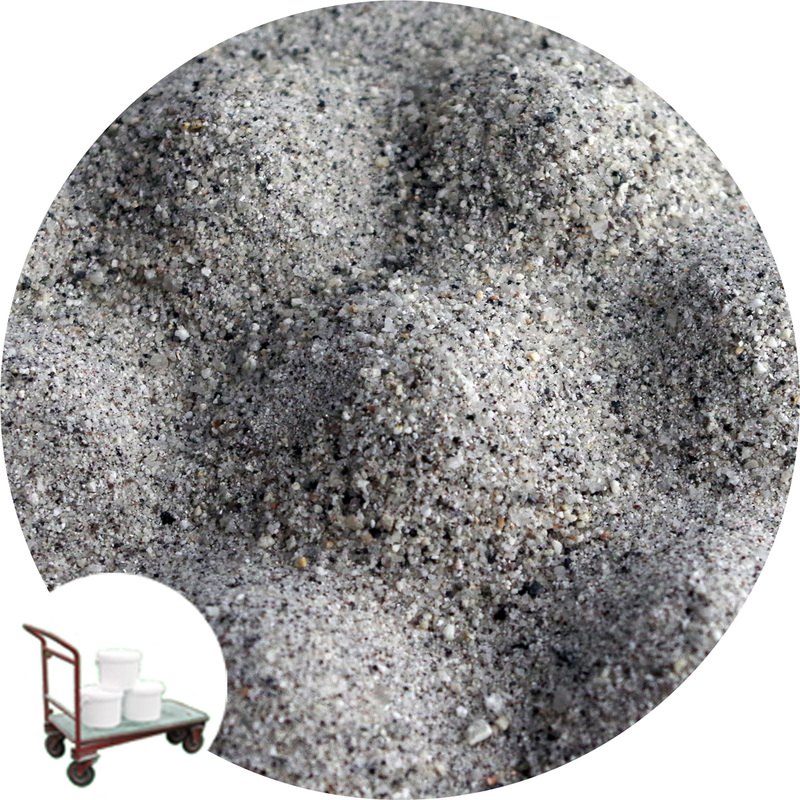 This natural kiln dried sand has been specifically designed for joint filling grey granite and black driveway paving products. As a guide 15kg of sand will fill the joints on approximately 4Sqm of 50mm thick block paving. The sand conforms to the requirements of BS7533 part 3 Table D4 - Jointing sand. The sand can also be used for staging and event decoration, as it will not stain hands, fabrics or paintwork. 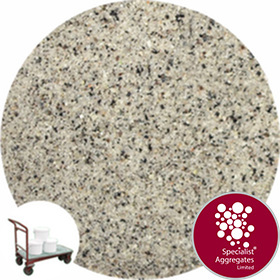 Being kiln dried this sand can be used with resin based paving systems. Require this sand with a natural moisture content for cement based mortar ? Availability: This product is generally held as a stock item for immediate delivery. 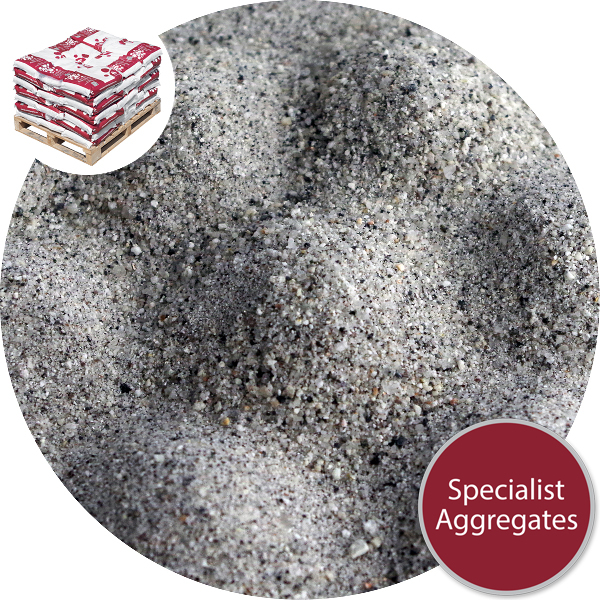 Design Specify: Light grey kiln dried sand from Specialist Aggregates. 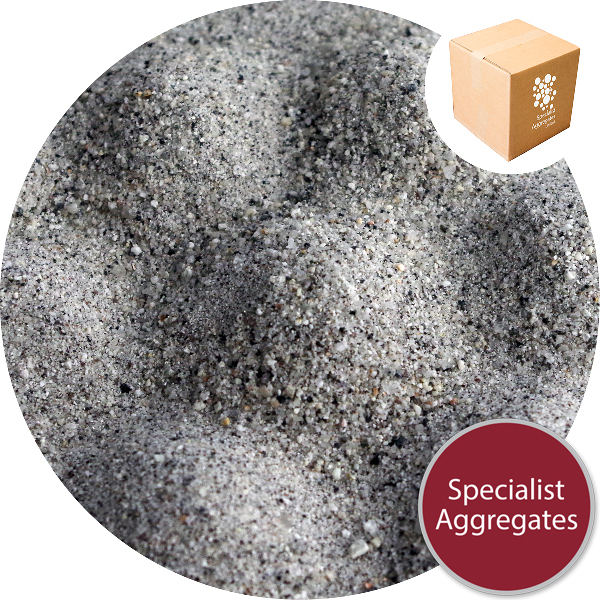 Design Specify: Fine light grey kiln dried sand from Specialist Aggregates.